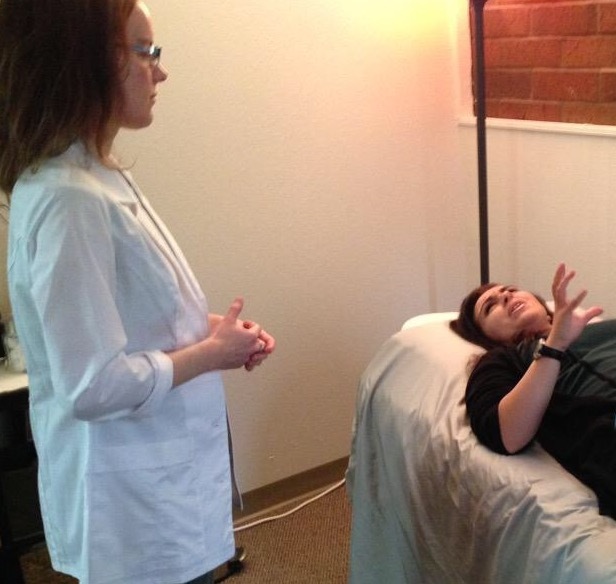 At Starting Point Acupuncture and Wellness, we specialize in the treatment of migraines and IBS. Acupuncture is a treatment in Chinese Medicine that uses sterile needles to help the body’s natural ability to heal itself. 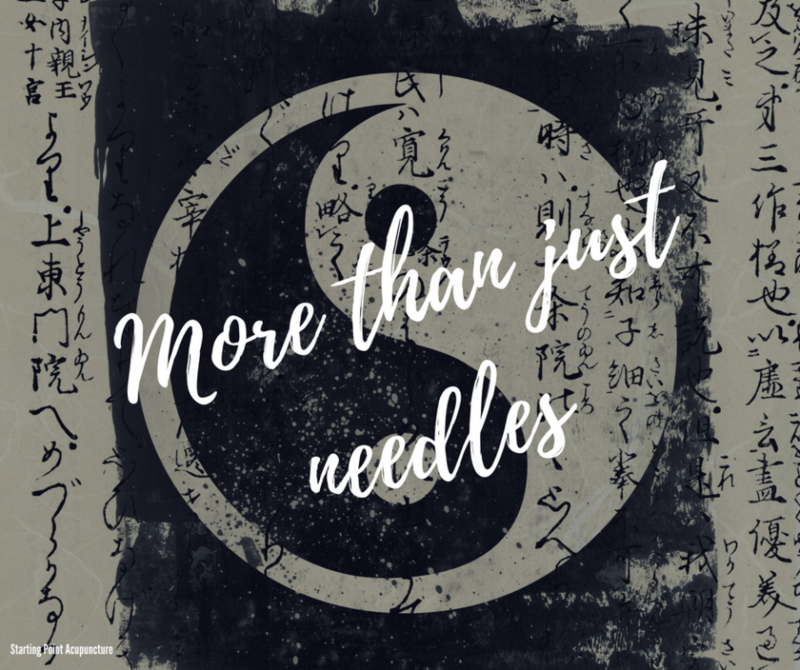 Acupuncture was developed thousands of years ago, way before Western Medicine existed, and was one of the primary medicines to help heal and treat people. It is still used today to help prevent and treat numerous ailments. Now with Western Medicine interested in how and why acupuncture works, there is more studies backing up the effectiveness and validity of acupuncture in our health care system. Did you know that acupuncture’s main function is to help keep you healthy? While acupuncture may not be known for preventive care, it should be. Waiting until there is an injury or illness will only cause the treatments to take longer. Using acupuncture preemptively will help you fight off illness and let you recover more quickly. That’s reason enough to give it a try. Acupuncture works by turning on your parasympathetic nervous system. This is the nervous system that turns on when we go to sleep. It’s our repair and rejuvenation system. It is one way acupuncture has been found to elicit its effects on the body. Acupuncture involves the use of needles to stimulate certain “points” on the body. There are certain “points” on the body that are located on pathways called meridians. There are 12 meridians mapping the body, each corresponding to an organ system. When an acupuncture point is stimulated (by pressure or a needle), it causes the release of endorphins, a neurotransmitter. The release of endorphins cause pain signals to be calmed as well as bring oxygen and blood to the area that was stimulated. This increase in blood and oxygen cause the muscle fibers to relax and encourages the natural healing process of the body to take place. In short this is one way by which acupuncture helps to reduce pain and inflammation. Acupuncture needles are very fine, sterile, painless, and safe. They are, of course, the main component of the treatment plan. They are placed into certain acupuncture points on the body, either locally (at the pain site) or distally (away from the pain). The needles are retained anywhere from 20 to 40 minutes and most find the treatment to be relaxing and calming. Expect to even be so relaxed you take a little nap! If you are in Washington State you are lucky! Washington State is 1 of 5 states that acupuncture coverage is mandatory in most insurance plans! Each plan is different so we suggest speaking with our insurance specialist, Debra at (206) 434-6317 and she can help you understand your plan prior to your visit. Our providers are in-network with the major insurance plans and we do offer a prompt pay discount if you are underinsured. Watch this video for more detailed information. To learn more about how acupuncture can help you and to schedule an appointment, please call our office at (425) 686-4498.